The Volunteer Association of the Textile Museum of Canada meets the first Wednesday of every month at the Museum. All TMC Volunteers are welcome to attend. Below are condensed versions of the monthly meeting minutes. The full versions are available in the H.N. Pullar Library. September 14, 2016, 4:00 p.m.
Meeting came to order at 4:00 p.m. The Board of Trustees met at the end of June and again at the end of August. They have set up an interim management team with Pat Neal and Sarah Quinton covering the duties of the Executive Director. The Trustees Executive Committee is providing support to the two acting directors. The Trustees plan to engage a firm to conduct the search for a new Executive Director. The selection criteria developed by the Volunteer Committee were forwarded to the Trustees. The Trustees are waiting for the search firm before developing their criteria. The Trustees will sponsor two Tapestry dinners this fall on October 18 and November 22. They would like to continue the series in the spring. The Volunteer Committee should consider whether we could host one at the Museum with staff assistance on sponsorships and marketing. The Museum’s Annual General meeting is Monday, September 26 at 5:30. I will present a report on the Volunteer Association activities. Following the sale of the sashiko quilt a note was sent to the Executive Director asking that the $3,900 be allocated to either staff development or acquisitions. The Trustees have responded that the funds will go to staff development to support the interim management period. On Wednesday, September 28 the volunteers will join the shop in a special all day sale. We will have ethnic textiles, quilting fabric, thimbles and books available on the Mezzanine and outside the library. The decorator fabric sale is scheduled for November 4 and 5 at YongeArtscape on Shaw Street. We will continue with drop in sales at the workroom in October and November. We now have bookmarks advertising future sales. This organization is meeting on Wednesday, October 26 at 10:00 am at the ROM. The topics include managing change, valuing volunteers and measuring volunteer quality. We can send several people. We made $640.00 in our June Sale. Our bank balance as of this meeting is $4,391.94. Remember to send information you wish published to Kelly. She does send out a reminder as well. You can click on the September 28 Sale and view pictures. E-blasts about the upcoming sales will be sent out. College groups have signed up. The meetings with educators start up this month. Susan Fohr is planning to host a night for teachers to raise awareness of the Textile Museum programs available to them for classroom studies. Docent meetings have resumed for the new year. Our Sunday tours were fairly well attended during July and August. One Sunday, 16 people attended the tour. Our average Sunday attendance was 5 visitors. We’ve decided to establish minimum requirements for active docents. Two recent docents have rarely attended meetings, in-service tours or volunteered to lead tours. This is not fair to the other docents. We’re also concerned that these inactive docents will not be knowledgeable about the exhibits. We will ask docents, who wish to continue as active members of the group, to attend 5 meetings, information sessions or in-service tours during each year. As well we will require that all docents lead at least 6 Sunday tours a year. We would like to find at least one new docent to add to our small but committed group. And, we would like the Museum to promote the Sunday tours on the website, either on the home page or by an obvious link from the home page. Action: Susan will look into this. Paper copies of applications from people who become confirmed as volunteers will be filed in the VA cabinet on the 3rd floor. We presently have a database of Volunteers in our file drawer in the third floor office of the Textile Museum. Two applications were given to Laura Brocklebank to interview for the Shop. We presently have some vacancies in the Reception schedule. Ryerson is presently holding classes in the mezzanine from 9:00 a.m. – 4:00 p.m. but the reception area needs to be covered from 9:00 – 11:00 a.m. which is presently being covered by the Textile Museum staff. There are no interns at this time. Action: Beverley will use Google Drive for now to record outlining information/skills/awards, etc. of all the volunteers for record keeping. When a volunteer resigns the person’s information will be moved to an archive database. Beverley will be asking Coordinators for information on current volunteers. Responsibility for this record keeping will be assigned to the role of Volunteer Coordinator, HR. The library had 35 contacts in June, 55 in July and 49 in August, for a total of 139 during the summer. Despite the fact that that several volunteers took time off during the summer for one reason or another, Susan Helwig did a great job of keeping all the shifts filled. We were fortunate to have help from Anne Hogg, a former volunteer who is now a Ryerson Student and who returned to the library to help out as needed. We also have a new volunteer, Larissa Cairncross, who was able to fill in on several occasions. Zack Osborne, our librarian, has initiated a project to tidy up the library and make the space more pleasing to visitors. Larissa is in charge of this project, with kate Rayner as chief advisor. All materials that are cluttering the surface of tables and cabinets are to be re-evaluated as to their relevancy. Those no longer needed will be re-assigned or discarded. We are already making good progress with this project. We are also now in a position to address the backlog of books that need to be catalogued. Zack is arranging for books to be processed using a barcode system, which will greatly speed up the transition of books from being accessed in our system to being placed on the shelves. We will be contributing books to the Volunteer Sale at the end of September. We have a full roster of volunteers. Business was brisk over the summer and most shifts were covered, although since the interns have left we have had some open ones that were difficult to find substitutes for. I have interviewed one person last week who will start training soon and we look forward to her covering alternative Tuesday afternoons. We still need the other Tuesday afternoon shifts covered as well as Friday afternoons. Some candidates who indicated they were interested in the shop have not worked out for various reasons. The stockroom sale will take place on September 28, with many single items discounted as well as inventory left from previous campaigns. Markdowns will start appearing in the shop. June is planning some pop up sales in the coming months. Redesign merchandise is now 25 to 75% off. The upcoming Sheila Hicks show means we will have children’s looms and weaving kits in the shop. June has also stocked the Joslyn Museum catalogue, notecards and postcards. A grant has made new cupboards on the fourth floor possible. Installers are working on the new cupboards at this time. Volunteers are emptying one cupboard as a time in a very organized fashion on a table and replacing the artifacts as the cupboard is finished. The “Home Economics” display was packed into numerous bins and into parcels and shipped to Nova Scotia for a show there. Sale on Sep.28 will be at same time as the Textile Museum Shop’s sale at the museum. We have rented two room on Nov.4 and one room on Nov.5 at Artscape for our designer fabric sale. Concern was expressed over lack of storage at 411 Richmond. Action: Susan will contact Pat to see if we can re-rent a storage space we gave up. There was a discussion of changing the format of our meetings to alternate monthly full business meetings with round table discussion of current issues. It was agreed that the October Meeting would deal with Succession Planning and the December meeting would deal with Financial Planning. June 1, 2016, 4:00 p.m.
A notice went out from the Chair of the Board of Trustees announcing that Shauna McCabe is leaving the position of Executive Director at the end of July to go to the Art Gallery of Guelph, a facility jointly operated by the city of Guelph and the University of Guelph. The Trustees Executive Committee is overseeing the search for a new Executive Director and the transition of the successful candidate. They plan to engage an executive search firm with experience in the arts. They will canvas stake holders including the volunteers for input to the search process. Paul Hendersen is leaving his position of marketing and graphics. 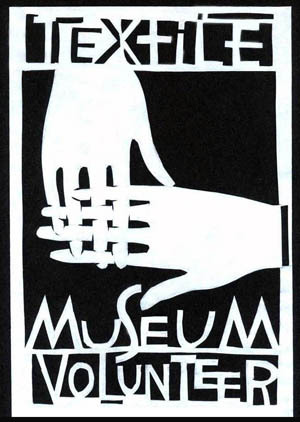 The job is posted on the Museum web-site. It is advertised as a 1 year position. As a result of attending the Volunteers Connect meeting in May, the following information is of note. The ROM outlined their leadership development activities. They keep records of what skill volunteers bring to the ROM and tap people for projects and committee work. It is a much larger organization than us but there were some useful ideas, including the practice to have their Volunteer Chair write a letter of welcome to the new volunteer when they have completed their 3 month training period. Susan and Suzanne will amalgamate their notes regarding suggested input for the search for a new Executive Director. Susan will submit these to the trustees Executive Committee. On behalf of the Volunteer Committee, Susan and Suzanne will send a card and floral bouquet to Shauna to congratulate her on her new position at the end of July. Susan will represent the Volunteer Committee at Shauna’s reception. Sandra presented a report of the financials from the Textile bazaar sale. The Artscape Location will be reserved for May, 2017. A $600.00 deposit is required. Susan complimented Kelly on a job well done. The educators are planning for the summer program. The school tours have not picked up since the work to rule of last year. Sadly, our Sunday tours were not well attended during May. We led two booked tours in May, one for a group of quilters from England. We’ve enjoyed touring the Bliss exhibit and are looking forward to Worlds on a String. Our last meeting before the summer break will be later in June. During the summer we continue with Sunday tours and usually lead a few booked tours as well. A discussion was held regarding the procedures for Textile Museum Volunteer Applications. During April, we had 38 contacts in the library, and in May, 41 contacts. In both months, we spent most of our time sorting and pricing donated books for the Textile Bazaar. We packed 37 boxes for the sale, and sold 27 of them, so we were pleased with this result. Some of the unsold books will now be placed on our sale shelf in the library, for all those who might be interested. We continue to do some cataloguing of books using the new system, but these books cannot yet be shelved because they must first be labelled. Since labels are created as an adjunct of the new system, but are extremely complicated to produce, we are still awaiting instruction on how to do this. Eventually we trust that we will be in a position to address the current backlog in the library. A former volunteer Anne Hogg, now a full-time Ryerson student, will return to the Library during the summer to fill in some shifts for regular volunteers taking a vacation. There are 2 new volunteers. Overall, the Textile Bazaar sale went pretty smoothly, considering it was the first time for the may sale at Artscape. This was thanks to all the hour and hours of preparation before, and the hard work during and after the sale. In 11 hours, we made about $36,000 which is about $3,300 per hour. We had over 80 volunteers. I was pleased with the number of people who came to the sale, especially on Saturday, which has in the past been a slow day. Everything got cleaned up and returned to 411 or given to a couple of charities. Most people were happy with the Artscape location – with a little tweaking and one additional room it should be even better next year. A decision was made to request Representative and Committee Reports every two months rather than monthly following a discussion of the suggestion made by Lynne Lee. As a result of her longstanding work as a volunteer, Susan Singh will write a letter of appreciation to Mary Jane McIntyre who is moving out of the city. Motion to adjourn by Lynne Lee Seconded by Julia Bryant. Volunteer Applications made on the TM website are forwarded automatically to the HR Coordinator. 2.The HR Coordinator contacts the applicant by telephone to discuss their interests and current volunteer opportunities. When a good fit is determined, the application is forwarded to the area coordinator (e.g. Reception, Shop, etc. If the applicant is placed in a volunteer position, the welcome letter and a copy of the Volunteer Association Handbook is given to the person. Farooq, Strand News and the HR Coordinator are notified. Under the purview of the Human Resources Coordinator, a secured file of active volunteer applications will be maintained at the museum. Applicants who are not successfully placed will be considered for other volunteer opportunities by the HR Coordinator until the applicant decides s/he is no longer interested. Applications from those who do not respond to several attempts by the HR Coordinator by phone and/or email, or who decide they are no longer interested are retained for 3 months and then destroyed. Including the minutes in Strand is a wonderful idea. Keep it up.